Our Passion for God and Compassion for People drives our commitment of Growing Stronger Families. Crossroads has structured the leadership to help you Grow in your relationship with God and with others. We desire to see you become Stronger through discovering, serving, and having fun in ministry. We invite you to join our Family where you will discover a wide variety of opportunities to help you get connected. Pastor Chris and Debbie have served as the Lead Pastors since March 2006. Chris and Debbie attended Bethany University. They graduated and were married in 1993. Together they have served in a wide variety of ministries as Church Planters, Children’s and Youth Pastors, School and Business Administrators, and as Lead Pastors. They have three sons, Tyler, Sheldon and Mark and one daughter Jocel. Their heartbeat is to see God's Kingdom influence this community and the world. Jeremy and Camrie have a great passion for Christ and His Church. Jeremy attended Southwestern Assembly of God University, graduating in 2011. He and Camrie were married in 2012. Together they love serving the Church in Montrose. Jeremy oversees the worship ministry, family groups, and ministry development at Crossroads. They have one handsome son, Liam, and are excited about what the Lord has in store for Crossroads. Pastor Jon and Michele have an extensive background in Children’s Ministries. Together they have served in nearly every aspect of the church from janitors to youth pastors. Jon graduated from Concordia University and Michele holds a teaching credential. Jon and Michele have been married since 2002 and have 6 beautiful children: Adelyn, Gracie, Emily, Timothy, Elijah, and Lorelei. They have a heart for equipping parents with the resources to train their children in the ways of the Lord and to implant the Scriptures into the children’s hearts to create a strong life-long foundation in Christ. Tyler and Erika have a passion to disciple students. Tyler graduated from Southwestern Assembly of God University at the end of April and began serving as the Youth Pastor in May. He loves the students of Montrose and is excited to continue to disciple everyone who is a part of Unshakable Student Ministries. Tyler and Erika are very excited to see God move through their leadership and to see the change that God is ready to bring to the youth of Montrose. Deb is passionate about serving the Lord and helping Crossroads change our community. She has served in Crossroads Kids, Girls Ministry, Bus Ministry, and many other places behind the scenes. Deb has 2 children and serves as the Business Administrator. Family Groups meet throughout the week. See "Groups and Resources" for more information. Alternatively, you can Text Message the word: CROSSROADS to the number: 63211 which will opt you in as well! If you are wanting to go to camp with us, camp forms are due before May19th!! So get them in ASAP!! If you are planning to go with us to @_campcedaredge_ this summer, we need you and your parents to join us for our pre-camp meeting!! Can you believe that Easter is less than two weeks away? 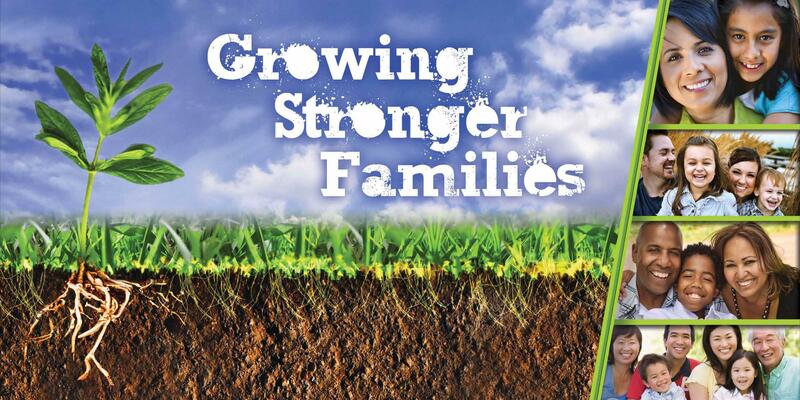 Join us at Crossroads Victory tonight for Family Night @ 6:30 for a great time of fellowship for all ages. Remember tonight is the FINAL night of the Visionary Parenting Bible Study. Join us tonight at 6:30 to find out!! Make sure your youth students join us tomorrow night at 6:30 for Life Swap!! We are really looking forward to seeing them there!! Join us tomorrow! "Living in the Spirit" begins at 9am in the Fellowship Hall. All are welcome and childcare is provided! Worship and the preaching of the Word begin at 10am! We desire to be a people led by the Holy Spirit! Check out this upcoming FAMILY GROUP! This group will meet on Friday evenings and will involve food! Also, children are welcome! Get ahold of Tim and Sarah Wise for more information. Join with us at 10 am for a powerful service and stay after to support Unshakable students at the Annual Chili Cook-off and Dessert Auction. The Chili Cook-Off is tomorrow, so make sure to come and help us bless our students as we prepare to head to camp this June!! Crossroads - Be aware this work is starting next week. They will maintain our access to the church throughout the project and we will continue our efforts of Growing Stronger Families. New Family Group Alert! April 5th Tim and Sarah Wise are looking to begin a group that will meet in their home. They will be going through the Red Letter Challenge! If you are not in a Family Group, you need to be! 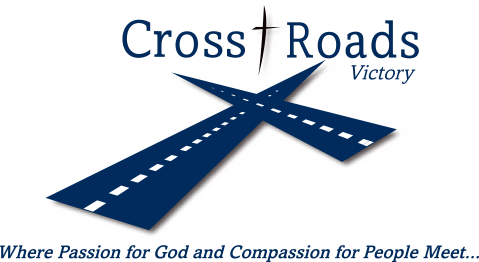 Join us tonight at Crossroads Victory in Montrose for Family Night @ 6:30, and make sure you mark your calendars for Sat. April 6th @ 9:30 for the annual Royal Rangers Pinewood Derby. Had a great time volunteering at sharing ministries today!! Make sure you join us for spin city tomorrow!! Bring $20 and your permission slip!! Hey Crossroads Fam, dont miss out on tomorrows service! Its going to be a great time! Join us at 10am and bring a friend! Make sure you join us tonight for week 4 of the dating series!!! It is going to be great, pus we are celebrating all of our students with February birthday's!!! Don't miss out!!! Men join us tonight at 6pm for our Mens Potluck! Well be meeting at Brent Deisigs home. Dont miss out! Make sure you come out tonight for service!! We are right in the middle of our dating series, and you won't want to miss out!!! Join us tonight at Crossroads Victory from 6:30-8pm for Family Night and the first session of our Visionary Parenting Bible Study. For all of our parents of students in Unshakable Student Ministries, make sure you join Pastor Jon for the Visionary Parenting Bible Study tonight at 6:30!! We cant wait to see you tonight!! Make sure you register for the chili cook off here in just a couple of weeks!!! Hey Crossroads! Unshakables chili cook off is coming up!!! Sign up to see if your chili will be the winner this year!! MEN! Make plans to join us Friday the 22nd at Brent Deisig's home for a potluck. This will be a great time of fun, fellowship, and the Word.